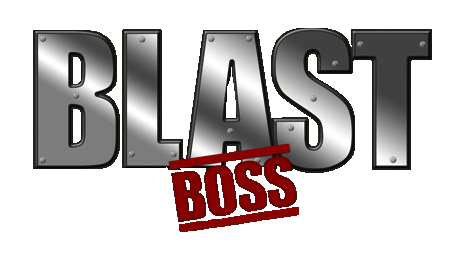 BlastBoss’ Multi-Media Blaster (MMB) is a versatile, turn-key system that can utilize a wide range of blast media including: sodium bicarbonate, recycled crushed glass, corn cob, garnet and other abrasives. The BlastBoss MMB system can be used for a wide range of applications: mold remediation, fire & smoke damage restoration, general maintenance, cleaning, de-greasing, coating removal and surface preparation. Blast Boss’ MMB is lightweight and portable yet strong and durable. The MMB has been tested and proven by BlastBoss professionals to ensure trouble-free, quality results. Knowledgeable technical support is available and with our unparalleled field experience, we can help you manage even the most difficult projects. Call BlastBoss today to get the sandblaster on the market. 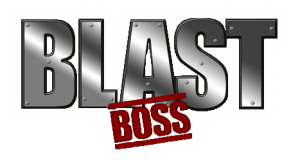 Blast Boss offers a complete blasting package for people that are starting out. This package includes the ST1650 or ST2500 blast unit, #4 or #5 nozzle, 50ft of blast hose, electric deadman switch (12volt), water separators, air pressure regulators, 50 ft air supply hoses, operators manual, a 250 cfm after cooler for the compressor, and an additional 250 cfm water separator for the compressor. For a soda blasting pot to run efficiently it needs to have cool, dry air. This is why we include an after cooler and an additional water separator in our MMB Blasting Package. When an air compressor creates the air to be used, the air will become heated. This air then needs to be cooled to a more desirable temperature for the soda blasting pot. This is the reason for the after cooler we include in our blasting package. It is a simple and reliable after cooler with a 12volt fan that can be connected to the compressor battery. Unfortunately, when you cool compressed air it will generate moisture causing the need for a water separator. The water separators included with the blasting pot normally remove most of the moisture. It has been noted that some compressors can produce more moisture than the water separators on the pot can handle. Also, some customers like ourselves work in geographical areas where humidity can reach 100% in the summer. 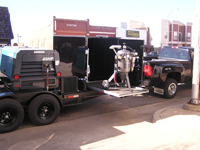 To correct this, we include an additional water separator in our blasting package. This water separator can be mounted on the after cooler. Since we have starting using this water separator, we and our customers have experienced no moisture problems. In fact, we hardly ever see any moisture making it to the water separators on the blasting pot. 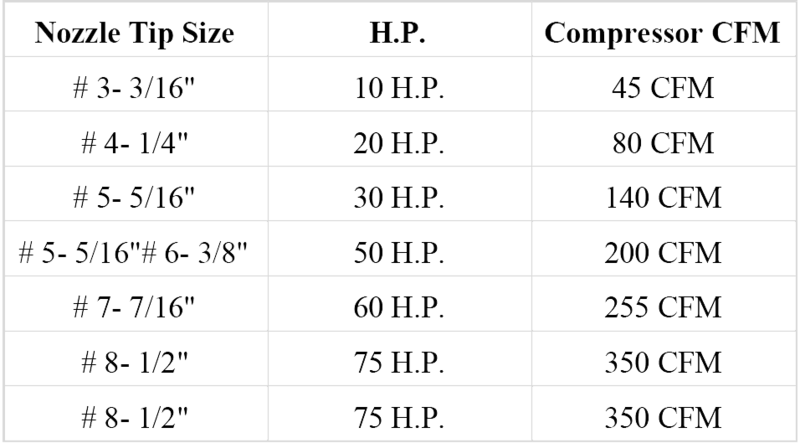 The following list compares the blast nozzle size to the compressor CFM requirements. 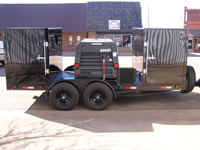 Blasting Equipment is custom powder coated and available in any color upon request. Listed below are primary colors used. Documents will open in a new window. If you do not have Adobe Reader, you must download it to view PDF documents.